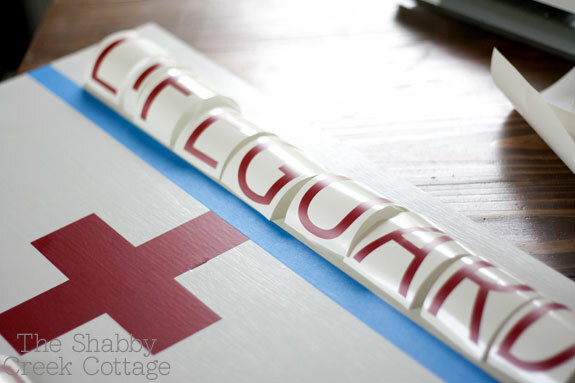 After I cut out the vinyl, I cut apart all the letters for my DIY Lifeguard on Duty Sign. 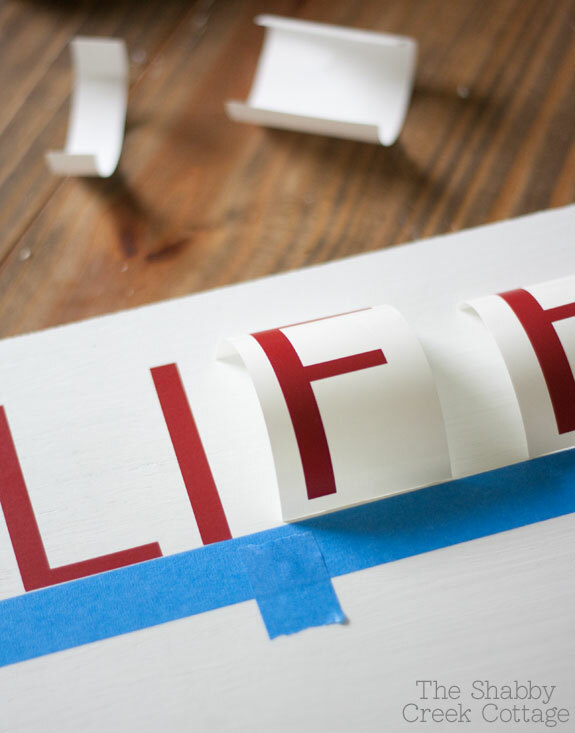 Then I used some painter’s tape to create a line so my letters would be even. I used another piece of tape as a marker to know where each letter should go. 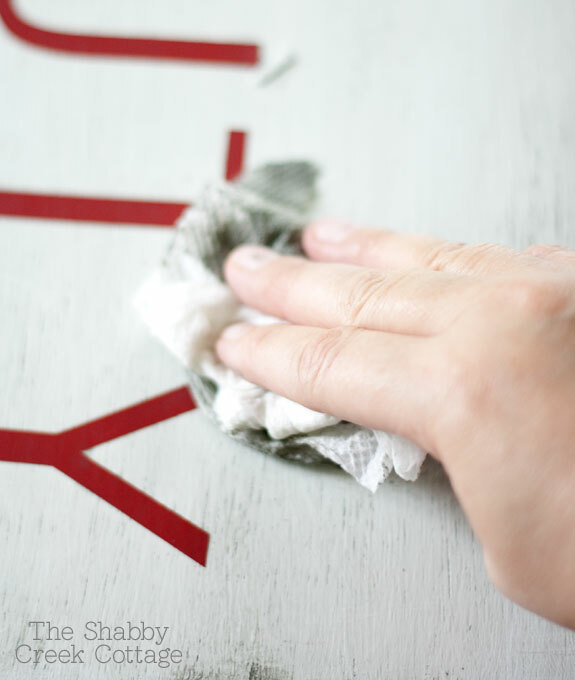 I peeled off one letter at a time and put it on the sign, keeping track of my marking tape to keep the spacing even. After the entire sign had the vinyl applied, I dry brushed a layer of dark gray paint on, over the vinyl letters and all. Last, I wiped off most of the paint with a wet towel, so it had bits and spots left to be darker and lighter, just like natural aging. Too cute! I may have to break out my Silhouette now! Your sign turned out fabulous! Love the vintage feel to it. Looks great! 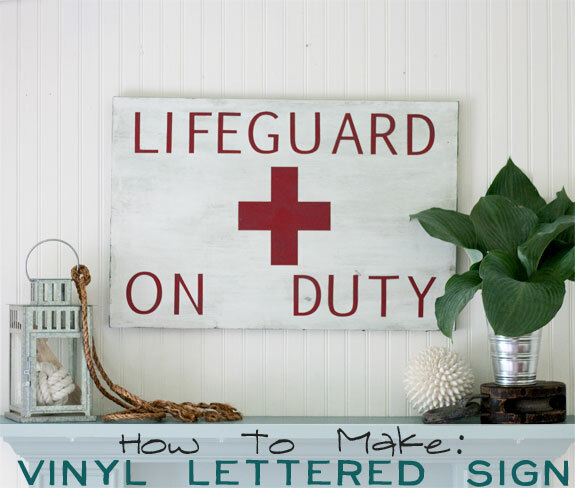 I’ve never used vinyl letters for signs but I see where it would make it much faster and easier. Love it! It makes a great summer sign! Thanks for the tips and inspiration. the pictures turned our fabulous!! 🙂 Thanks for letting me help! Looks awesome!! 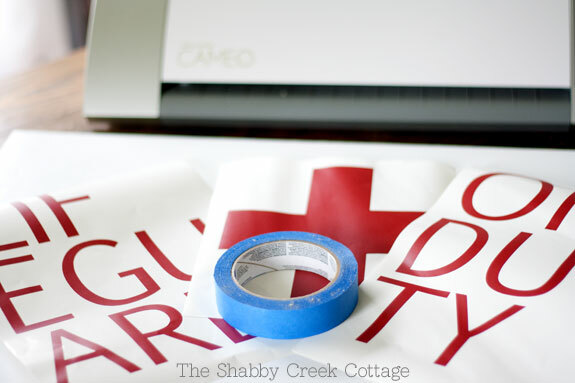 Wish I had a vinyl cutter… so much easier than hand painting:) Great job! 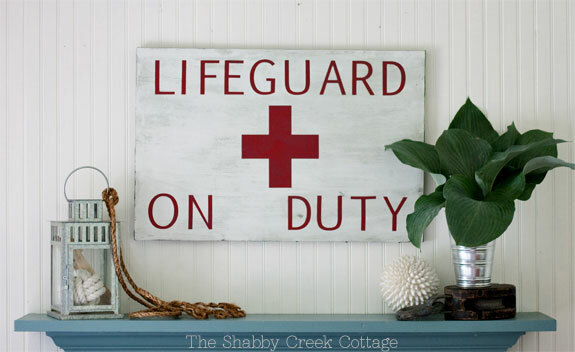 My daughter is a life guard and I think this sign would be perfect for her! Thanks Gina! 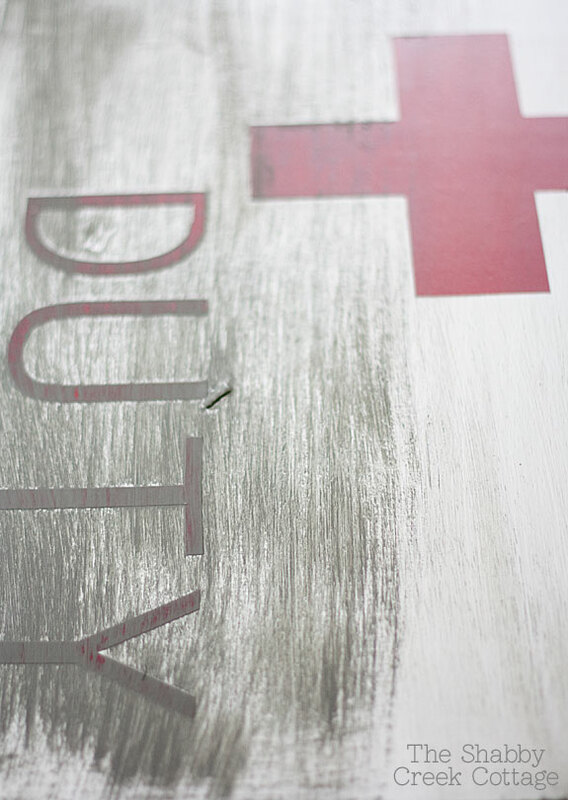 I love anything “red cross” so your sign speaks my language! Love it! Nice sign! It really speaks summer. I will have to make one of these for our pool area! The grandkids (and the parents!) will get a kick out of it. I really have to start getting more use out of my Silhouette…I usually only use it to make ‘one time use’ stencils.